We’ve got some lovely events around the UK coming up this year – please do come and join us if you can! We’re celebrating the Bank Holiday weekend with the friends and families of Ups of Downs, Leamington Spa. Tickets are available to non-members – all are welcome. We’re continuing the Bank Holiday weekend with the friends, families and professionals at the Wolf Hirschhorn Syndrome National Meeting. This event is for conference delegates & families only. 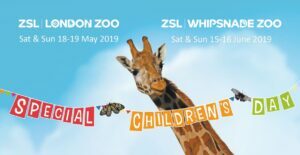 Special Children’s Day is a unique annual event at ZSL London Zoo, welcoming children with special needs and their families and friends. We’ll be running sessions on both days at 1pm and 3pm. With increased specialist facilities and staff presence, as well as interactive events and discounted entry, Special Children’s Day is an exciting and exceptional event not to be missed. Changing Places facilities available. Tickets are on sale now! Special Children’s Day is a unique annual event at ZSL London Zoo, welcoming children with special needs and their families and friends. We’ll be running sessions on both days at 11am, 1pm and 3pm. Sunday is Father’s Day so why not make this their special treat too! We’re heading back up North to sing and sign with our friends at LS29 Support Group in Ilkley. 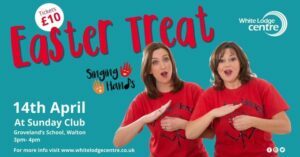 Come and join us for a morning of multisensory, musical Makaton fun – there’ll be our usual eclectic mix of action songs, rhymes and pop tunes to enjoy! Tickets will be on sale soon – in the meantime, save the date! We’re heading over to York to join the friends of families of York Inspirational Kids for our first ever concert with them! Come and join us for a morning of multisensory, musical Makaton fun – there’ll be our usual eclective mix of action songs, rhymes and pop tunes to enjoy! Tickets will be on sale soon – in the meantime, save the date! 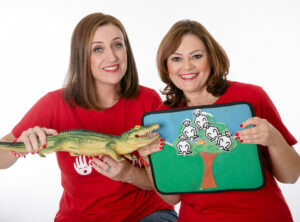 Debbie and Lucy will be joining the members of the Activity Station in Barnes for a fun-filled afternoon of Makaton singing and signing. This event is open to members of the Activity Station only – a local charity which offers activities and social events for people with disabilities. We’re off to join the friends and families of some Bristol-based DS and SEN charities for a fun-filled session of Makaton singing and signing. More news of this event soon with ticket URL and timings. In the meantime, save the date! 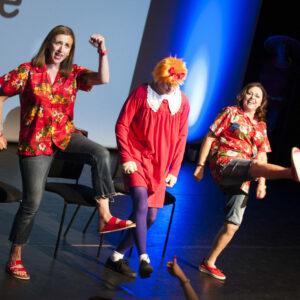 This event is raising money for Bristol Down’s Syndrome Trust. 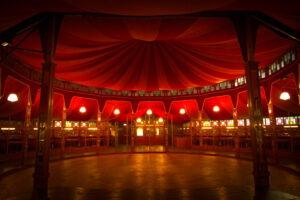 The venue is wheelchair accessible & there is free parking onsite. We’re heading back to South Wales to sing and sign with the friends and families of Follow Your Dreams Charity! 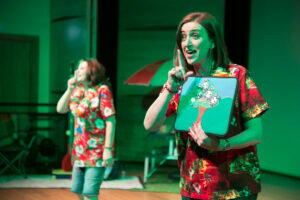 Join us for a fun-packed multi-sensory session of songs and stories with Makaton signing – tickets on sale now! We are heading all the way to Kendal and Carlisle to join our friends at Cumbria Down’s Syndrome Support Group in September for not one but two concerts in different parts of the county so that we can meet all of you! On Saturday 28th September, we’ll be at Queen Catherine School in Kendal for an afternoon concert (timings TBC). 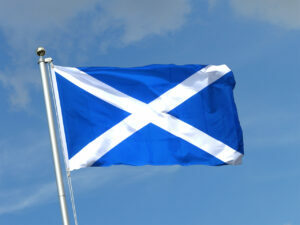 The following day we’ll be at Richard Rose Morton Academy in Carlisle, Cumbria for a morning concert (timings TBC). 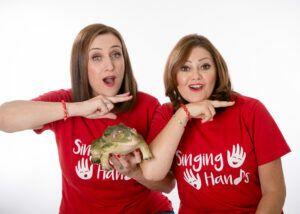 As always, we’ll be doing a wide mix of fabulous Makaton signed action songs, rhymes and pop songs! This event will be open to both members and non-members – ticket URL coming soon. In the meantime, save the date! Tor Bank Special School, 5 Dunlady Road, Castlereagh, Belfast BT16 1TT. Shows at 10.00am and 1pm. We are delighted to be heading back to Belfast to join the friends and families of FunDays SEN Support Group for two concerts this year! The 10.00am morning show is going to be a mix of Makaton-signed rhymes, action songs and a few funky pop songs thrown in to complete the set. In the afternoon, the 1pm show will be a pop party for older children / teenagers and young people to get us all moving and grooving! For those 8 years and upwards. We’re back to Johnstone Town Hall, Scotland for another fun concert with our Scottish friends (and anyone who wants to come over the border too!). We’ll be doing an eclectic musical Makaton multisensory repetoire – rhymes, action songs, pop songs and some of our fave Scottish tunes too! Everyone is welcome to come along! Chailey Heritage School, Dream Centre, Chailey, Lewes BN8 4EF. Show time TBC. 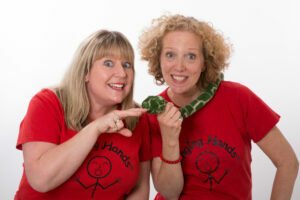 We’re off to Sussex to join the friends and families of Diversifest for a show at Chailey Heritage School where we will be joined by our friend and Makaton legend Dave Benson-Phillips! Tickets will go on sale later in the year – in the meantime, save the date! Tickets will go on sale later in the year – in the meantime, please save the date! All Nations Centre, 10 Frog Island, Leicester, LE3 5AG, 2.30pm. 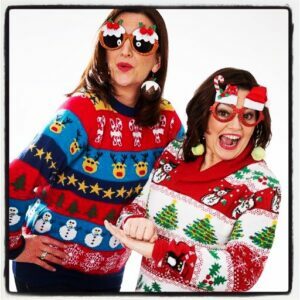 We’re back with our friends at LDSG this year for a seasonal signed singalong concert – please feel free to dress up in your best Christmassy attire and come along to join us! We’ll have snowmen and reindeer and loads of our favourite festive tunes all signed with Makaton. Old Park School, Thorns Road, Brierley Hill, West Midlands DY5 2JY. Shows at 11am and 2pm. We’re back to celebrate the Christmas season with FOPS – this event is open to all so come and gear up for the festivities with us!